RAW HOLLYWOOD : NEW MUSIC: MARY J. BLIGE, BRITNEY SPEARS, JUSSIE SMOLLETT & MORE TRIBUTE ORLANDO W/ "HANDS"
NEW MUSIC: MARY J. BLIGE, BRITNEY SPEARS, JUSSIE SMOLLETT & MORE TRIBUTE ORLANDO W/ "HANDS"
Many of music's biggest names have one together to tribute the fallen victims of the shooting in Orlando that took place last month. 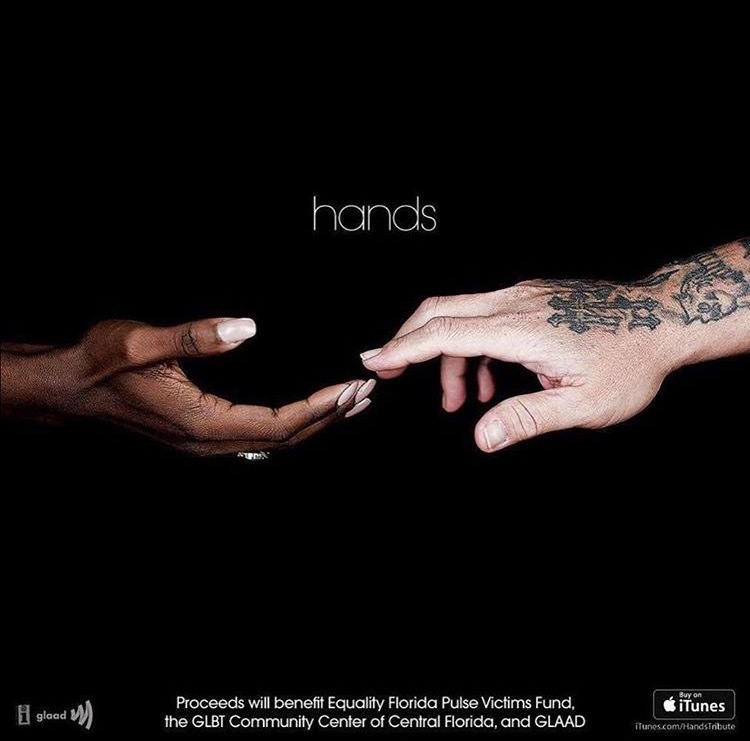 The GLAAD foundation & Interscope Records have partnered to release a musical tribute the those precious lives entitled "Hands". The song features Mary J. Blige, Gwen Stefani, Jennifer Lopez, Britney Spears, Meghan Trainor, Jason Derulo, Selena Gomez & Empire star Jussie Smollett. The moving song was produced by BloodPop, Mark Ronson & Justin Tranter. Along with the long list of notable names the song also features Adam Lambert, Mary Lambert, Tyler Glenn, Halsey, Ty Herndon, Imagine Dragons, Juanes, The Trans Chorus of Los Angeles, Kacey Musgraves, MNEK, Prince Royce, Alex Newell, Nate Ruess, Troye Sivan & RuPaul. The song is now available on iTunes for purchase & proceeds will be benefit the Equality Florida Pulse Victims Fund, LGBT Community Center of Central Florida & GLAAD.